Alumni are the foundation – the heart – of UBC. From visionaries to world leaders, some of the finest minds have passed through our halls, forging relationships, inspiring ideas, and impacting society. The Robert H. Lee Alumni Centre is one of the most exciting projects in UBC’s history—and now this dynamic new hub for UBC alumni everywhere has opened its doors. The first of its kind in Canada, it has been built with the generous support of the alumni community. Now, with your help, it will become the place to network, to reconnect, and to engage in entrepreneurship and lifelong learning. You can add your support here. Dedicated to UBC’s alumni, the alumni centre is more than just a building; it is a home for life. Located at the centre of the Vancouver campus, it is a distinctive and welcoming space, helping to orient alumni when they visit. 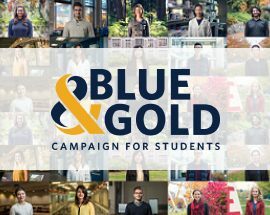 It will offer a vital resource for alumni as they network, do business, expand their careers, satisfy their intellectual, cultural and social interests, and engage with students and other campus connections. If you are one of UBC’s 300,000 alumni, you are part of the foundation of the university. Alumni from all over the world have joined forces to build this new state-of-the-art alumni centre, and now we want you to help shape what happens inside. You can help make the alumni centre the heart of the university, by supporting innovative programming, events and collaboration. The beautiful donor wall is growing, and there is still time to add your name. If you are able to donate $1,000 or more by 31 December 2015, your name can be permanently displayed on the donor wall. In addition, your story can also be told as a point of light on our website. From first-time visitors to returning alumni, the Robert H. Lee Alumni Centre is a starting point and welcome centre—it is UBC’s new front door. With your support it will also become a connection point to help alumni shape the future of our shared world for many years to come.